Don’t be put off by the picture – there is nothing of Ali in this clip! 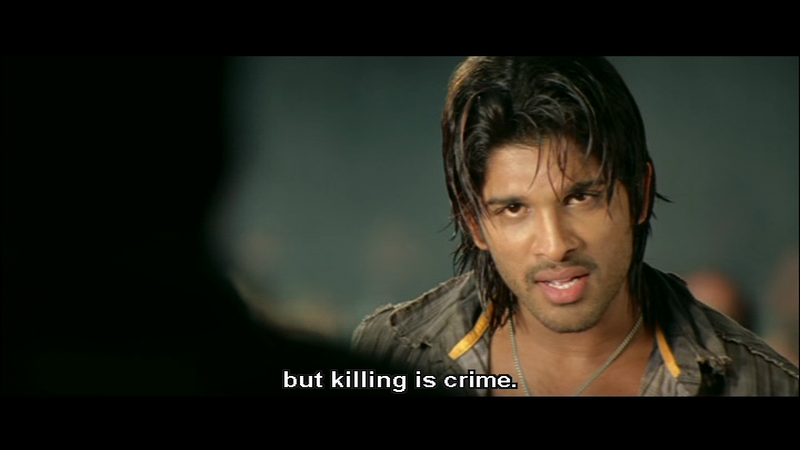 The appeal of Desamuduru definitely lies with the cast and their energetic performances rather than a good storyline or even well-written and believable characters – because it doesn’t have either of those. 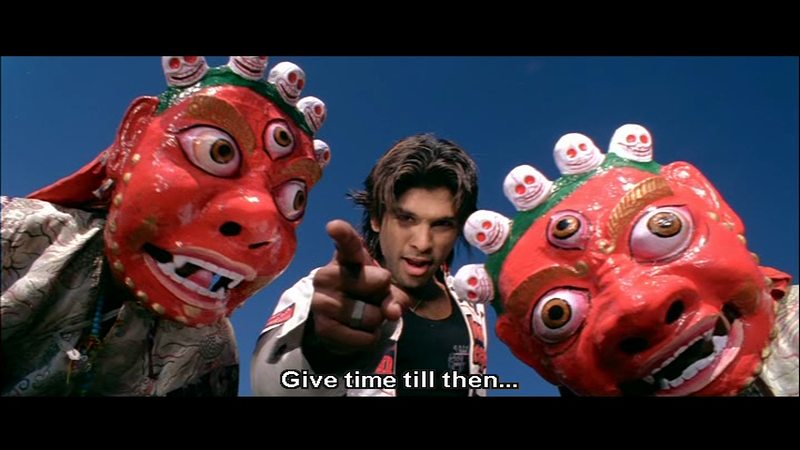 Desamuduru was Puri Jannaadh’s follow-up to Pokiri, and perhaps after such an exceptional effort, he just ran out of new ideas. The plot is paper thin and the story follows a well-used formula without anything novel in the execution. Perhaps as compensation, the director ups the pace, meaning that the lack of a storyline tends to vanish in the constant confusion of fight scenes and action shots. 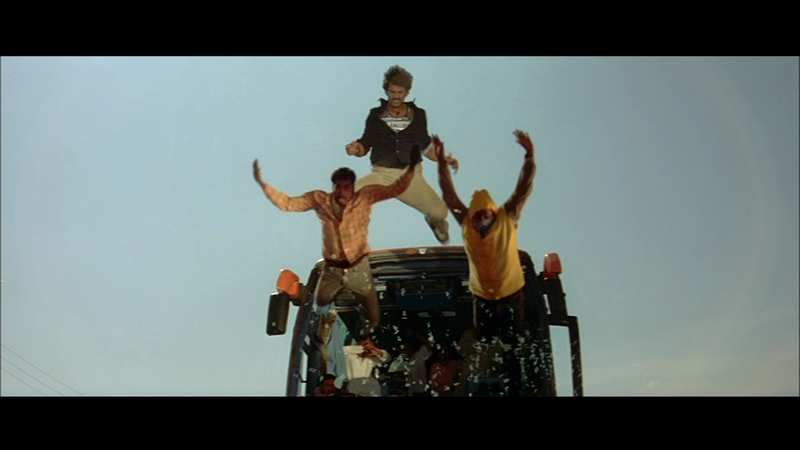 At least the high energy ensures that Desamuduru has mass appeal, even if it doesn’t rise to the dizzy heights of Pokiri. 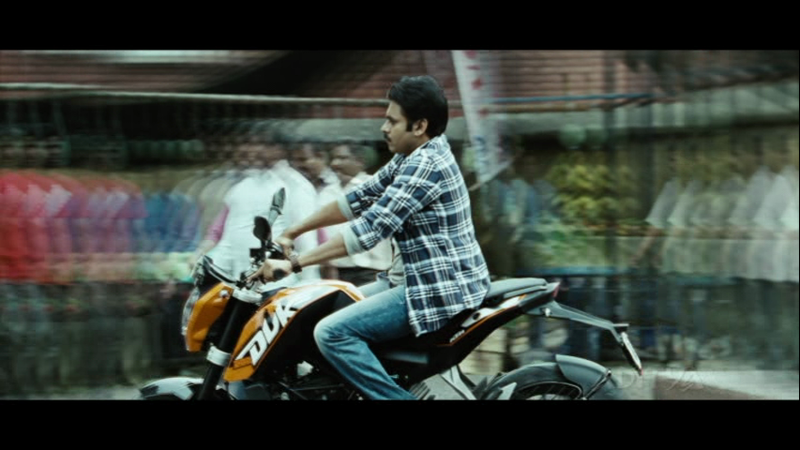 Bunny’s Bala Govind is an arrogant young TV reporter working for his father on the crime beat with Maa TV. He has a basic idea of what is wrong and right – for instance, killing people is wrong. But beating them up within an inch of their lives is apparently perfectly OK. Some of the detail in these scenes is excellent – I love how the drunk pulls his bottle of booze out of harm’s way, and how Bunny’s shirt slowly rips as he flexes his muscles – classic! 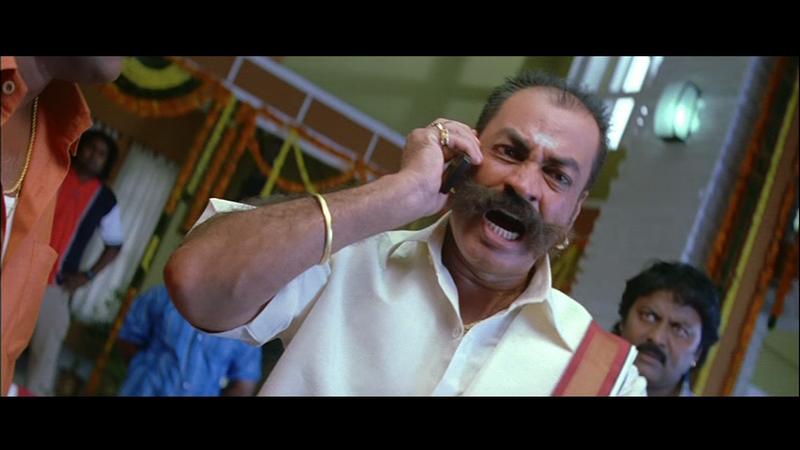 Bala’s latest altercation ends up with Murugan (Subbaraju) in hospital and Bala under threat from Murugan’s father and local gang boss Tambi Durai (Pradeep Rawat). Bala however escapes to film a travel program in Kulu Manali – a little bit of a change from crime reporting, but apparently travel is where Bala feels he has his calling. Anyway, swapping the mean streets of Hyderabad for the mountains of Himachal Pradesh seems perfectly reasonable, especially when there is a gang of Tamil thugs baying for blood as incentive. Plus it means we get this song along with a backdrop of snow-clad hills and slightly bemused looking locals. Bala has a traditional Telugu approach to love – see, instantly fall head over heels, stalk and wear the girl down until you can convince her to marry you. Sigh. This time the unwilling heroine is Vaishali (Hansika Motwani) who is a Sanyasin and appears completely uninterested in Bala despite his total belief in his own irresistibility. The rest of the word sees Vaishali as a demure and quiet Sanyasin, but this is how Bala see her, which seriously makes me question his fashion sense even in fantasy dance sequence land. 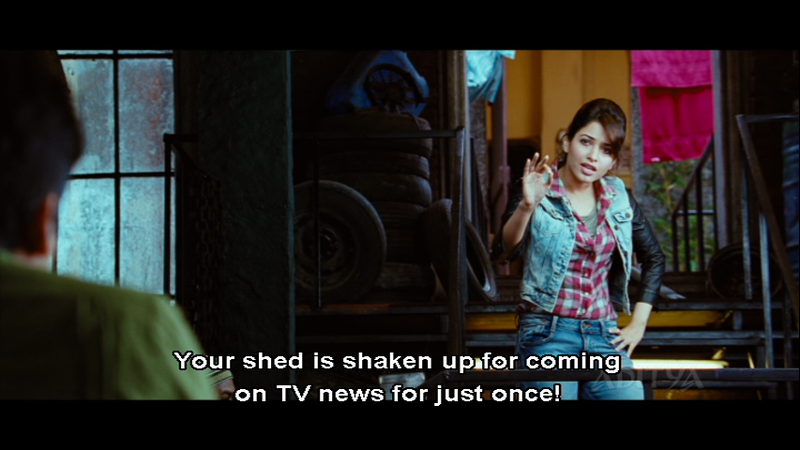 Hansika is surprisingly OK here in a role that doesn’t require her to do very much. I didn’t particularly like or dislike her the first time I saw this film, but compared to subsequent appearances I think this is one of her better performances. She looks suitably demure at the beginning as a Sanyasin and manages to bop around reasonably convincingly in the songs. Later on in the second half when the romance quotient is reduced to almost zero, she continues to hang in there, and acts appropriately wimpy in the subsequent fight scenes. There isn’t a lot of chemistry between her and Bunny, but some of that is down to the plot, particularly since no sooner does Vaishali declare her love than the film switches back to action and fight scenes rather than playing up the romance. At least that is until we get to the ultimate fan-girl song in Manusuley. Even the song’s similarity to Dil Se helps bump up the heat factor and when you add in Allu Arjun drenched in litres of oil smouldering at the camera it definitely reaches sizzling hot! Except I tend to think: all that sand with all that oil – ouch! Bunny at least seems to be thoroughly enjoying himself throughout. 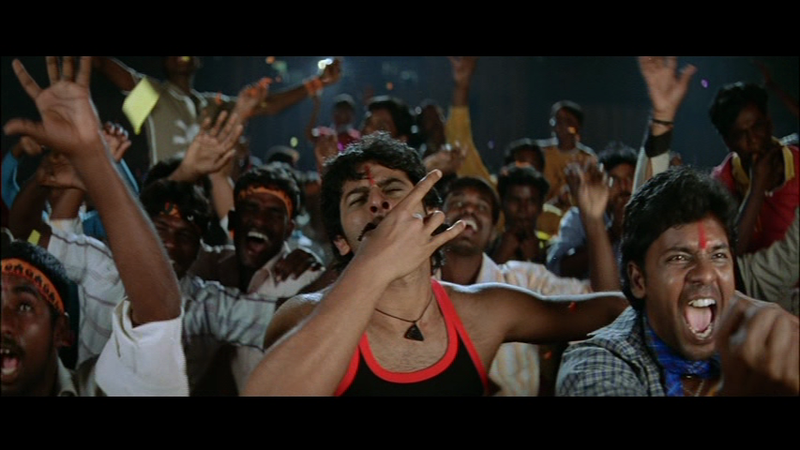 He looks very happy to be surrounded by a bevy of beautiful girls in the songs, and in a number of the scenes with Subbaraju and Ajay I’m convinced that they ended up ROFL most of the time. It’s one of my favourite things about Bunny that he seems to be perpetually about to crack up, so I end up smiling every time – even if it’s totally inappropriate. There is a tedious comedy track involving Ali which starts out bad and just gets worse as it goes along, but thankfully that’s it for comedy uncles. 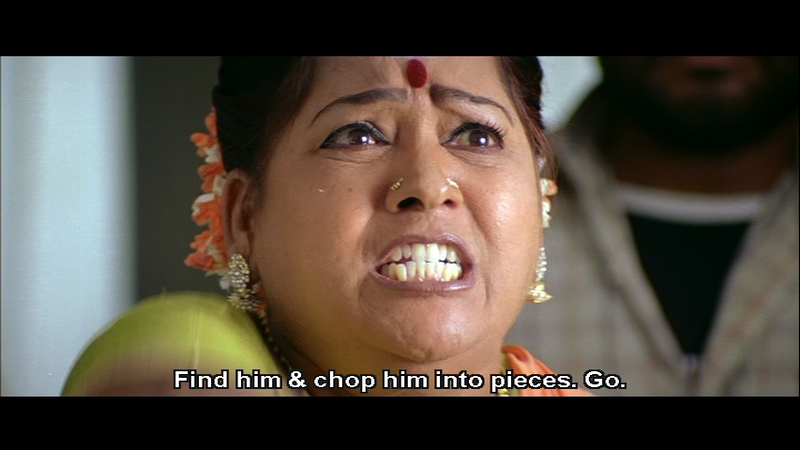 Much better is the comedy provided by the altercations between Subbaraju and Bunny, and the histrionics provided by Telangana Shakuntala as Murugan’s evil mother. 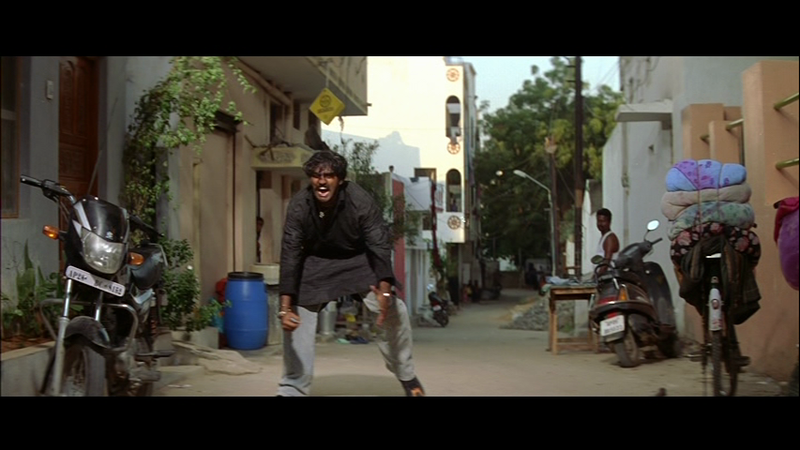 Jeeva also does his evil henchman sidekick while Ajay is excellent as a thug who cannot talk and adds both to the mayhem and the comedy in equal measure. It all adds up to a lot of this – Reeey!! 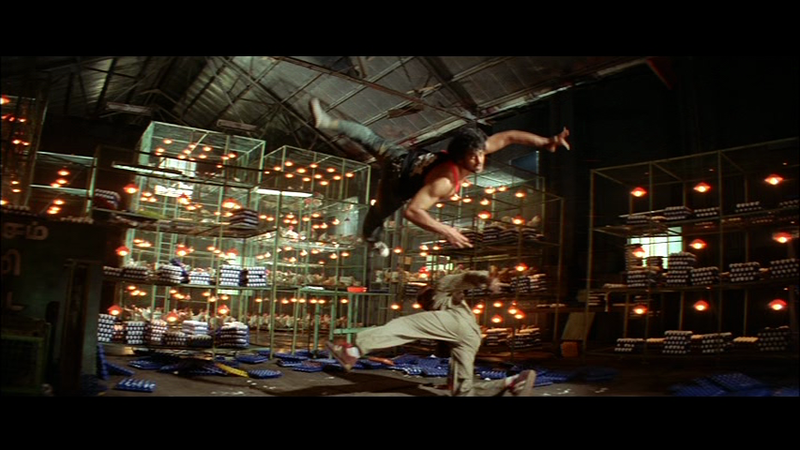 A number of the fight and chase sequences are excellent with some good choreography and wire work, and it’s just a shame that they aren’t connected together by a better storyline. 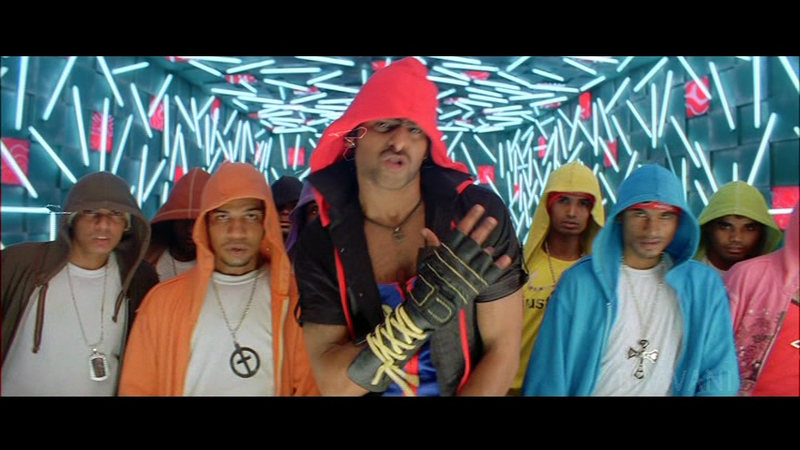 There is of course the obligatory item number featuring Rambha which pops up at an odd time and doesn’t add anything at all to the film, but it’s a least one more opportunity to watch Bunny dance. 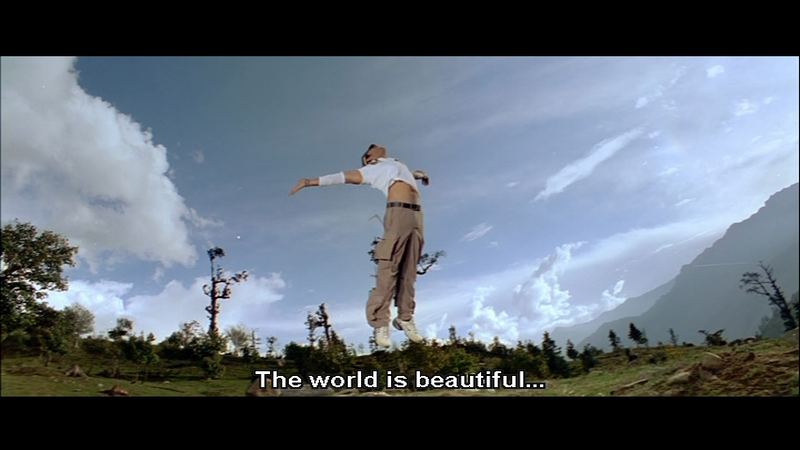 Desamuduru is a hodge-podge of a film which relies on a charismatic cast, fast action (and even faster dance moves), along with the appeal of beautiful scenery in Manali . 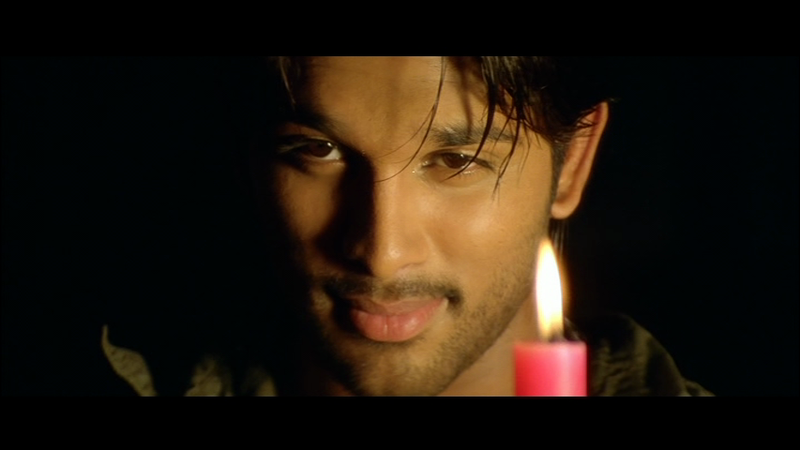 It’s a film I watch over and over again, just for the songs and Allu Arjun’s dancing. Not just for those shirtless scenes – of course not! It’s not a film for everyone but if you can leave your brain at the door and just sit back for the ride there is plenty to entertain – although judicious use of the FF button makes it even more enjoyable. 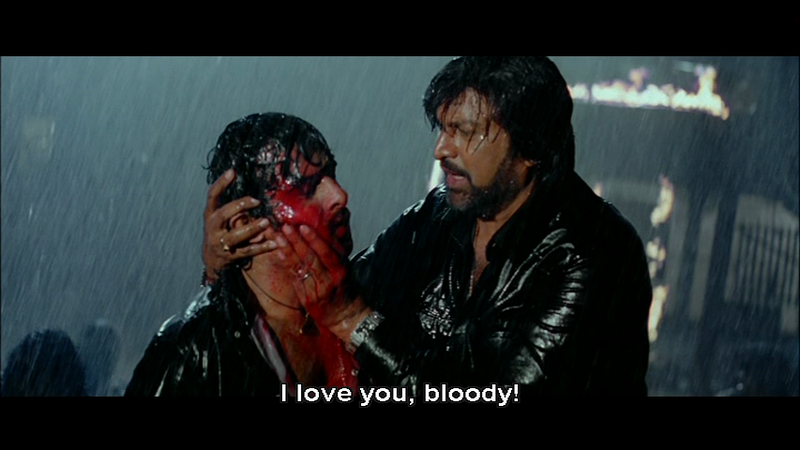 Desamuduru gets 2½ stars for story and execution, but 5 stars for enjoyment and re-watch potential! Cameraman Gangatho Rambabu sees Puri Jagannadh teaming up again with Powerstar Pawan Kalyan for a tale about one man’s crusade against corrupt politicians with a little help from sidekick Cameraman Ganga. 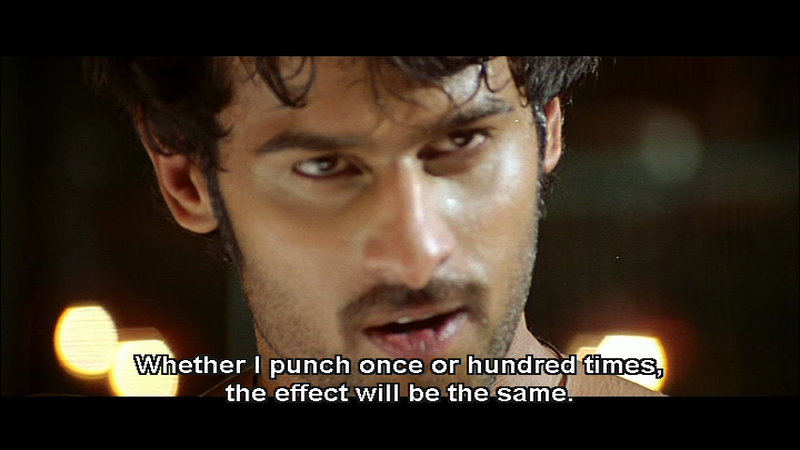 I first saw CGR in the cinema without subtitles, but since the audience seemed to be appreciative of the dialogue I thought it might improve the film if I could understand what was being said. And to some extent the DVD subtitles do help, although they also serve to highlight the silliness of the female lead character and a general condescension towards women throughout the story which is less enjoyable. 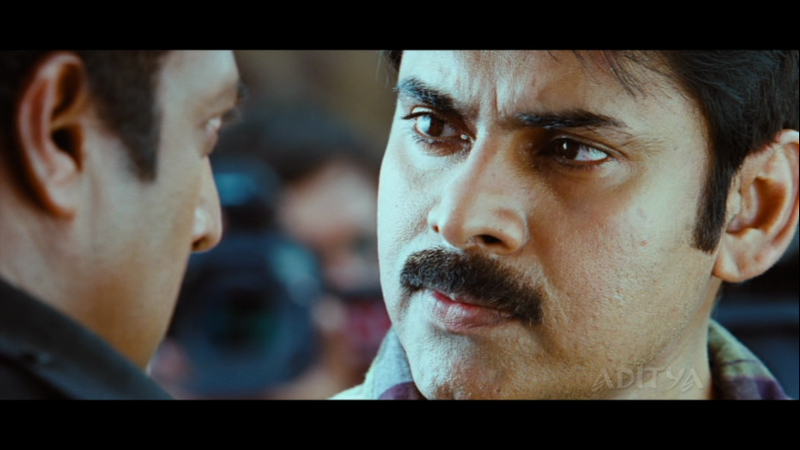 CGR is a straightforward good guy vs. bad guys story which relies on the Power Star’s presence to keep the action ticking along, but there are a few good fight scenes and some well written interactions between Pawan Kalyan and Prakash Raj in their respective roles which make it worth a watch. 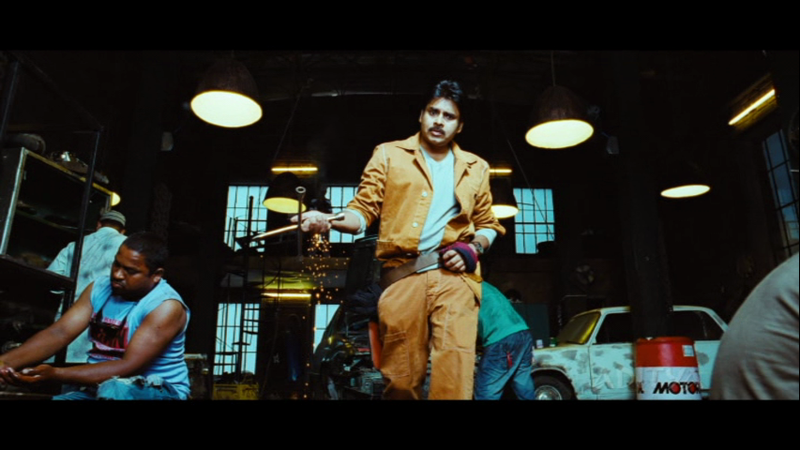 Rambabu (Pawan Kalyan) is a mechanic who has superhero tendencies to fight crime, a large mural of Che Guevara on his apartment wall and an idealistic view of a utopian world which he tries to make reality. To that end he races off to beat wrongdoers into submission whenever he hears of injustice or petty crime on the news and provides assistance to widows, orphaned children and marginalised members of society whether they want it or not. 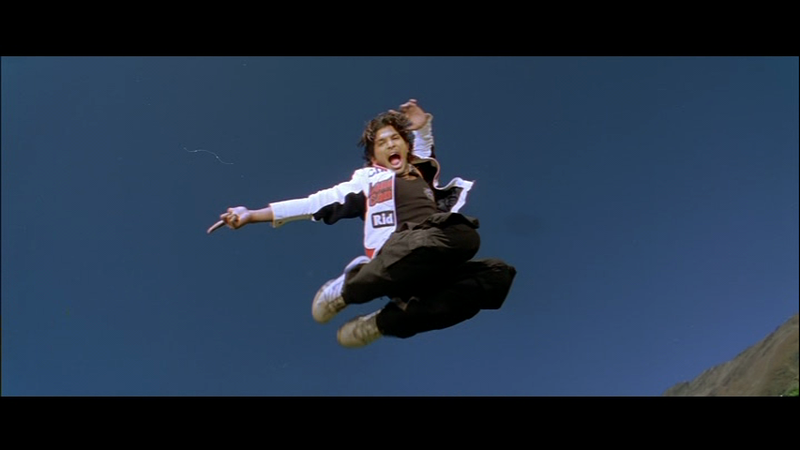 Rambabu’s determination to break up a fight between two rival student groups leads him to feature on the news himself and brings him to the attention of cameraman Ganga (Tamannah). 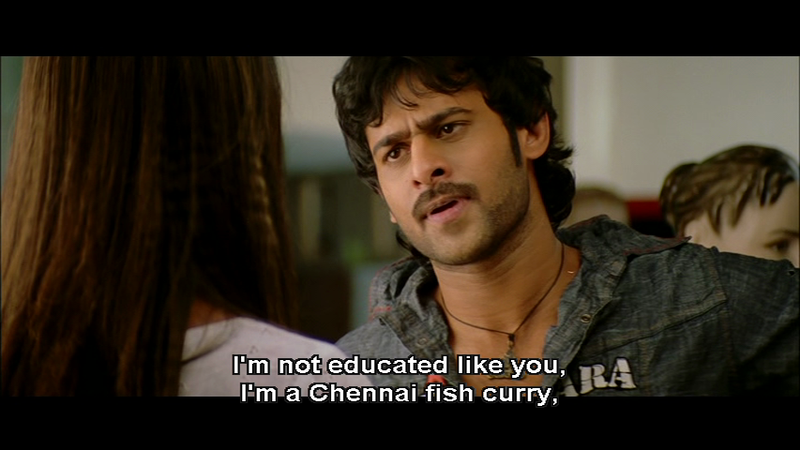 After a brief meeting, Ganga decides that Rambabu would be perfect as a journalist and despite a conspicuous lack of any training, her station head agrees wholeheartedly giving Rambabu carte blanche to do whatever he wants as a reporter on the news channel. Inevitably this brings him into conflict with politician Jawahar Naidu (Kota Srinivasa Rao) who is prepared to do anything to win back the role of Chief Minister from the incumbent Chandrasekhara Reddy (Nasser). This looks promising, but since both politicians are one-dimensional caricatures of absolute black and white they end up as rather ineffective characters. Jawahar Naidu is evil with no redeeming features, prepared to murder, lie and cheat his way back into power while Chandrasekhara Reddy is painted as the perfect CM who is kind, compassionate and honest although at one stage he does confess to an ambition to hang onto his top spot. 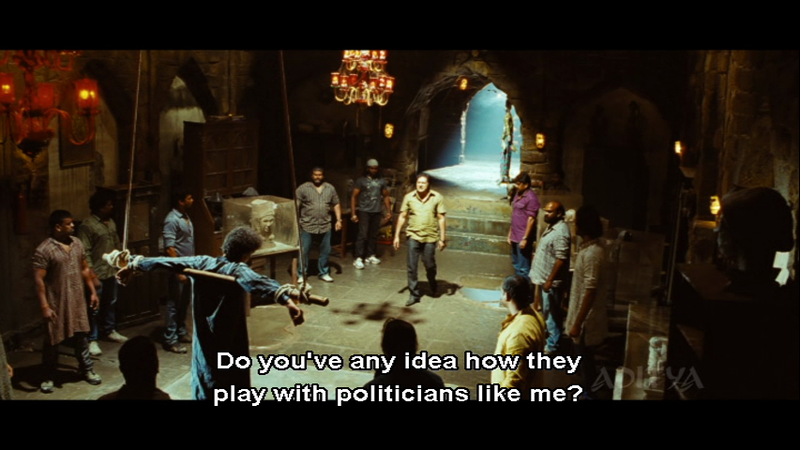 Added in to the mix is Jawahar’s equally amoral son Rana (Prakash Raj) who takes over his father’s manifesto when Jawahar suffers paralysis and has to withdraw from active campaigning. 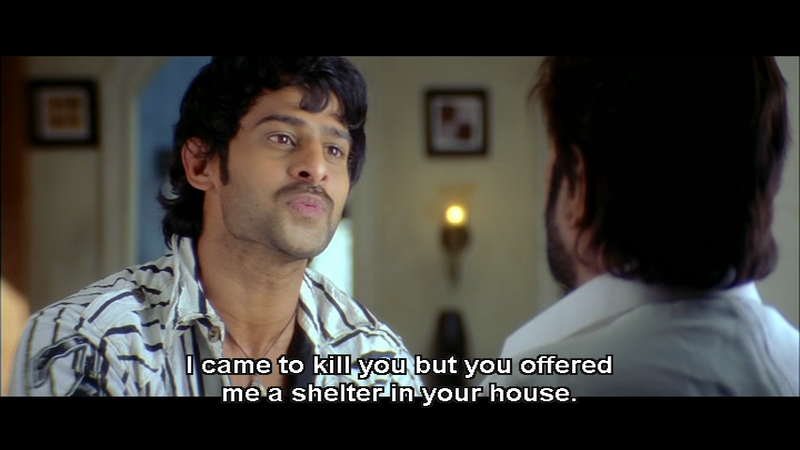 The real battle is the one that develops between Rana and Rambabu and the scenes between these two are generally the best in the film. Prakash Raj is excellent as he sneers and schemes his way to political success and Pawan Kaylan is zealous and righteous in appropriate amounts as he counters Rana’s various plots. 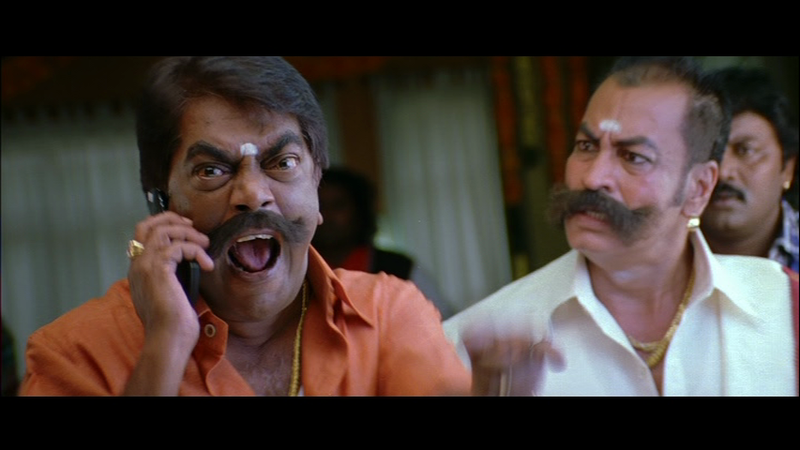 Tanikella Bharani also puts in an impressive performance as Jawahar’s brother-in-law and right hand man. He is obsequious and just a little bit creepy as he fawns over Jawahar while making sure that self-preservation is still his number one policy. I also have to mention the excellent décor in Jawahar’s house which was beautiful and made a welcome contrast to his bombastic, over-emotional and over-acted speeches. 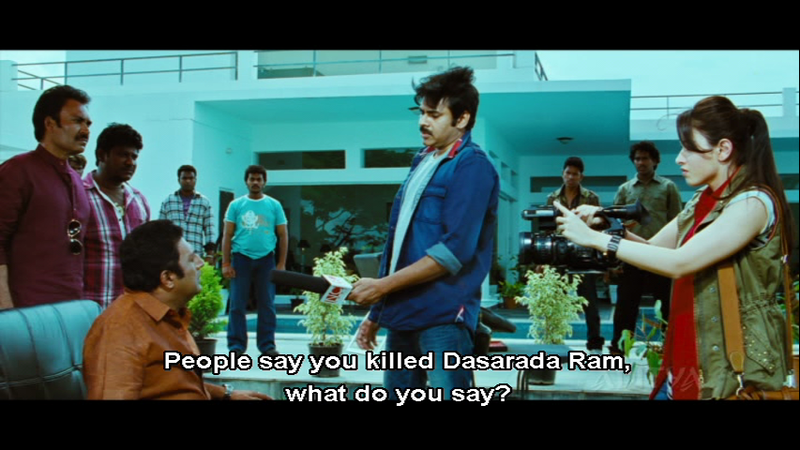 What don’t work as well are the interactions between Rambabu and his various work colleagues including Cameraman Ganga. 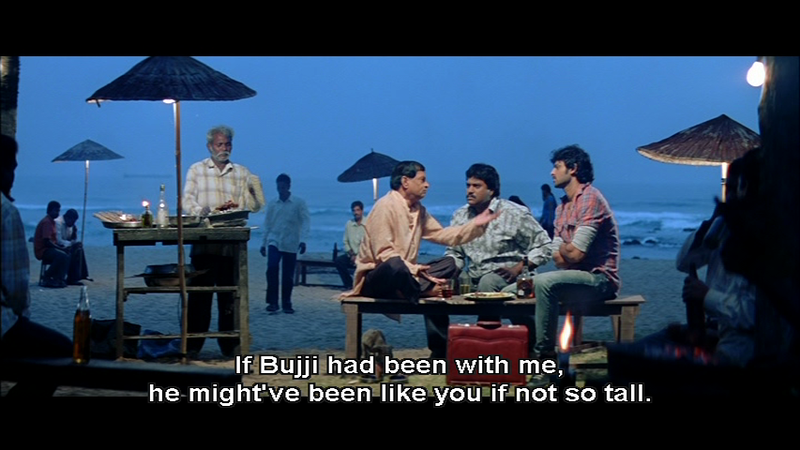 Although Ganga has equal billing on the title, in reality the character is only peripherally involved with the action of the story, and her main role is in a rather clunky romance with Rambabu. Ganga is bratty and immature and her hearty attempts to appear as a “woman in a male dominated career” are unimpressive and implausible. Her reaction to her rival Smitha (Gabriela Bertante) is also rather too ingenuous although I like Ganga’s accusation that Smitha is a snake. Smitha does show a number of snaky characteristics but sadly that’s as far as any possible naga connection goes. 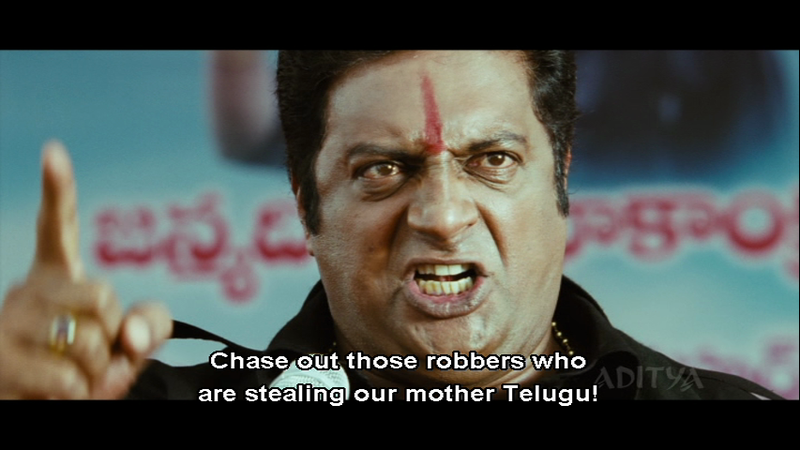 Smitha is the owner of a rival TV station who snaps Rambabu up when Jawahar forces him out of the news channel. Although I liked the overall idea of Smitha’s character and was hoping for a sharp, slightly unethical businesswoman to add another layer to the plot, the execution failed miserably and Smitha’s character was wasted as basically another love interest. Ali appears as the head of social interest at the TV channel and there are some inane attempts at comedy which fall very flat. 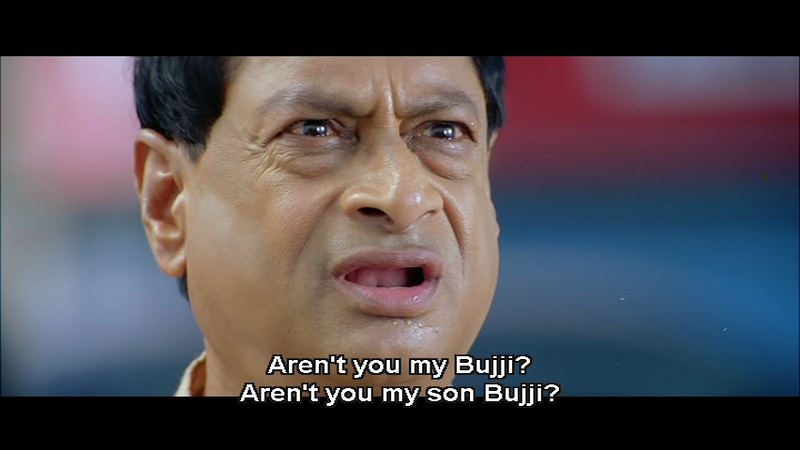 Later comedy scenes with Brahmi are better, although the placement of some of these seems odd as they break into the action and slow down the film momentum just when it begins to take off in the second half. 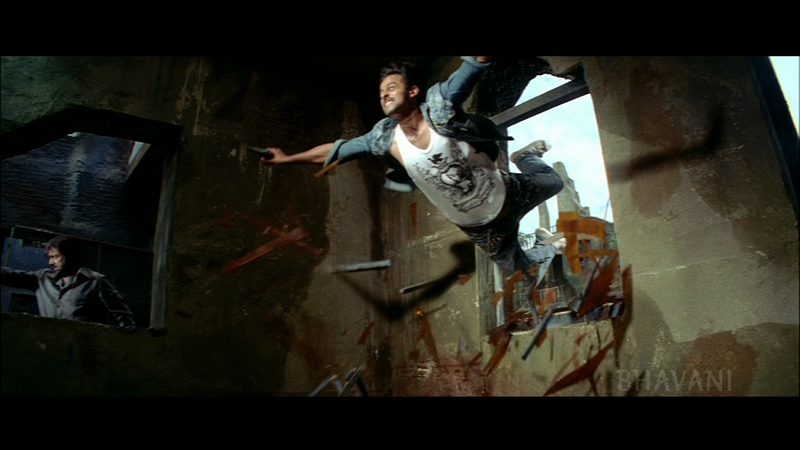 The music by Mani Sharma is also nothing special but isn’t helped by lacklustre choreography. Scarlett Wilson appears in a forgettable item number while the other songs are mainly pictured on Tamannah and Pawan Kalyan. However this one featuring Gabriela is a little more interesting, since she does get to wear a large hat which seems to fit rather well with the giant mushrooms in the background and I think does help reinforce the snake connection. The opening titles over news reels of various marches, speeches and events suggests that CGR will be a political thriller, but instead it’s a standard mass movie which doesn’t manage to break out of the usual mould. There are some good ideas in here but the film needed better editing as it’s too long with too many irrelevant side issues which detract from the main story. The inability of corrupt politicians Jawahar and Rana to make effective comebacks when questioned by Rambabu feels very contrived since surely politicians should be excellent wordsmiths – or at the very least have PR people who can write their speeches and stop them from speaking out of turn, while Nasser’s Chandrasekhara Reddy is improbably perfect . The characterisation of Ganga is also irritating and Tamannah is capable of much better than this overacted and disappointing performance from her. Cameraman Gangatho Rambabu works as a mass masala film, not as a political message movie despite Rambabu socialistic tendencies, and as such the performances by Pawan Kalyan and Prakash Raj ensure that it’s entertaining enough for a one-time watch. It just could have been so much better. 3 stars.